Hello I am doing an analysis on covered calls with and extra amount of naked calls. Ignore the symbol and current macroeconomic events. I couldn't find any reference to this strategy (unbalanced is an adjective I chose, referring to the non-equivalent legs), it looks favorable because of the amount of premium that can be collected. This is considered because of margin requirement for the naked calls isn't as much as completely covering them. The risk profile of a normal covered call looks like this: The green line represents profit/loss at expiration, the "hockey stick" risk profile you may be familiar with. Do note: the premium collected here represents a maximum 7% gain on the entire position, which is mainly the shares. Also note: the normal covered call becomes loss making at underlying price $60.55 (by expiration), this represents at 6.8% decline in the underlying asset. This represents 6.8% of downside protection. Do note: the premium collected here represents a maximum 10% gain on the entire position, and the symbol would have to decrease or increase by 2 strikes on expiration (63/65 strike) or increase by for you to get the same 7% gain that the normal covered call would have provided in its best scenario. Also note: the unbalanced covered call becomes loss making at underlying price $58.33 (by expiration), this represents a 10% decline in the underlying asset and 10% of downside protection. This is sort of favorable because all of the time premium will still be collected and more calls can be written for the next option series after expiration, so total account equity will still grow despite losses in the underlying. 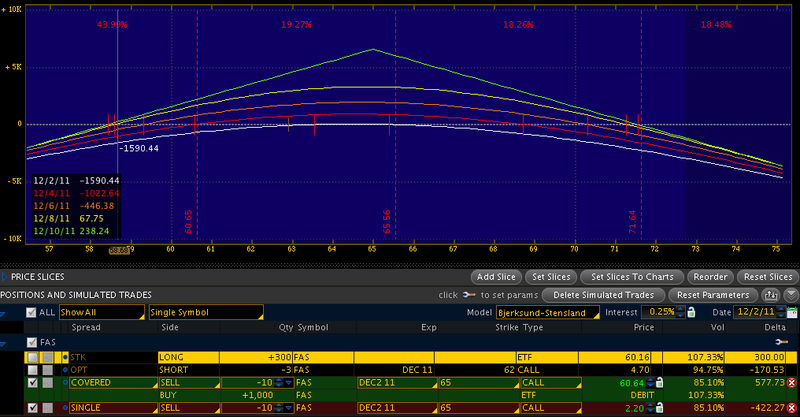 Again, the green line represents profit/loss at expiration day. Given the extra downside protection, and potential need for a stop order if the asset price rises too high, is the added risk of the naked leg justified? Mainly, what other variables should be considered in this analysis, especially related to the theoretically unlimited loss on asset price rise and how fast the delta will increase on the naked leg. 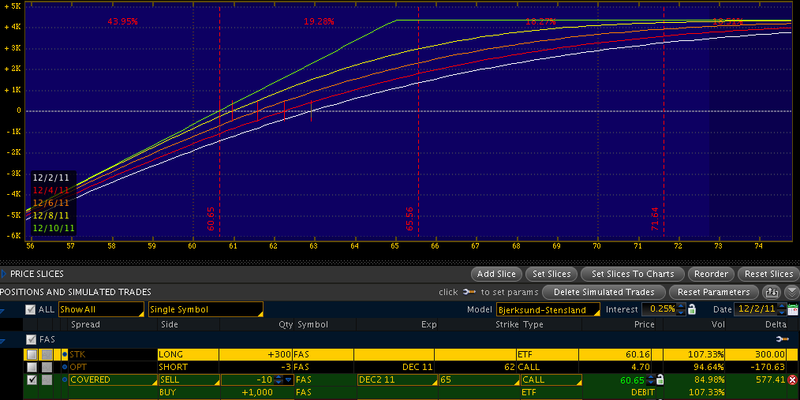 Selling 2 ATM calls against 100 underlying shares result in Delta neutral. "Given the extra downside protection, and potential need for a stop order if the asset price rises too high, is the added risk of the naked leg justified?" The risk is if the move is more than extrinsic premium collected. One thing to watch out this type of trade is skewness. There are better ways to manage if the price move more than extrinsic premium collected depending on your risk tolerance. Not the answer you're looking for? Browse other questions tagged options option-pricing option-strategies skewness or ask your own question.